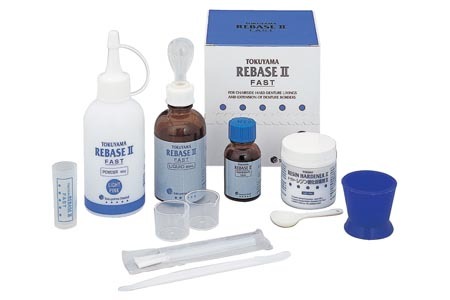 REBASE II is a chairside and laboratory hard reline material, for use with complete or partial dentures and partial denture repairs. Rebase II offers outstanding polishability, low heat generation for in-mouth curing, high mechanical strengths, great handling and almost no odor/taste. Curing in 4min 30sec intraorally, Rebase II is designed for long-term denture reline applications.